Samsung Electronics, the South Korean giant, on Wednesday reported a roughly one-fifth increase in operating profit for the latest quarter from a year earlier, sending profit to a new high of around $15 billion. But industry observers say that the driving force behind the company’s recent performance — a boom in memory chips, fueled by soaring demand for data centers and smartphones — is looking wobbly. Samsung is the world’s largest smartphone maker, but it also makes many of the computer chips, camera sensors and displays that go into other companies’ devices. That has positioned it to prosper even from the success of rivals like Apple. Of late, though, demand for smartphones and other consumer electronics has been plateauing. And as memory-chip producers, Samsung included, have invested in operations to expand production, supply is catching up. The question is how much, and how quickly, the prices of memory storage will fall. Samsung’s share price has already dropped about one-sixth this year. In a conference call with analysts on Wednesday, company executives said they foresaw memory demand remaining solid next year, as smartphone buyers seek out devices that can store more high-resolution photos and videos. For the latest quarter, Samsung’s semiconductor business accounted for about two-fifths of the company’s sales but more than three-quarters of its operating profit. C. W. Chung, an analyst with Nomura Securities in Seoul, South Korea, said that, paradoxically, signs of strength this year in the memory market have only filled Samsung’s investors with more concern. They figure that any upswing only means that the eventual fall could be even steeper. “Like a roller coaster, the higher you go, the dizzier people feel,” Mr. Chung said. Samsung also faces competition from China, where state-backed firms are angling to become major memory suppliers. Samsung’s shares rose on Tuesday after the United States Department of Commerce put sanctions on Fujian Jinhua, a rising Chinese chip maker that has been accused of stealing intellectual property from an American rival, Micron. Washington’s move blocks Jinhua from importing American technology, including semiconductor manufacturing equipment. Meanwhile, Samsung’s mobile phone business has been stagnant. Consumers around the world are not replacing their smartphones as often, and they seem less enthralled by the latest and most expensive devices. 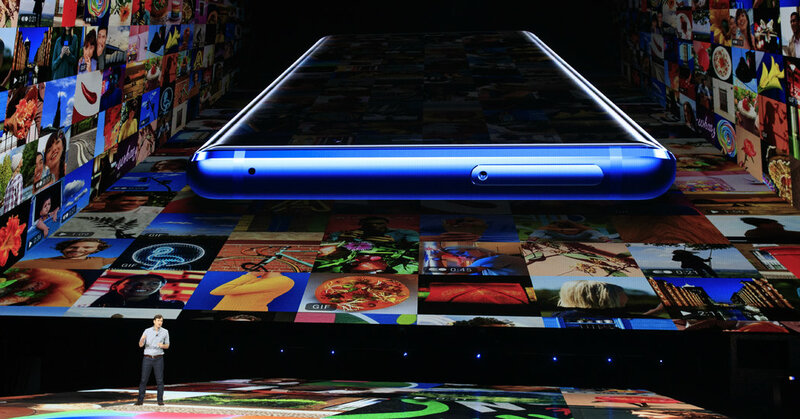 Samsung’s own recent top-shelf offerings have failed to dazzle, leading executives to talk about adding whiz-bang features such as foldable screens. According to Mr. Chung of Nomura, Samsung became cautious after the multibillion-dollar recall of its fire-prone Galaxy Note 7 phone two years ago. April 11, 2019 Comments Off on Can Nintendo make virtual reality gaming a success?